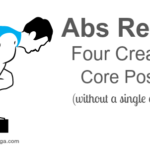 When students register for a core-themed workshop, they expect their abdominals to be battered and bruised into next week. It’s a strange—somewhat admirable—masochism that exists in few communities outside of yoga (save, perhaps, the crossfit, pilates, and functional fitness communities). But, if you’ve read The Illustrated Guide to Yoga + Your Core, Part 1 you’ve learned that the abdominals are only one part of your core. Now, it’s time to turn your attention to what I call the “complements to your core.” These muscles either work together with your core, like the way engaging your inner legs helps you engage your pelvic floor muscles. Or, they balance your core muscles by providing the opposite action, the way your hamstrings balance the actions of your hip flexors. Collectively, we’ve bought into the importance of core strength, but these complementary muscles don’t get nearly as much air-time as the front of your core. We don’t identify with these muscles as much and it’s easy to ignore them. But, if we want a strong, sustainable, balanced body—and, a sane, holistic approach to working with the core—these muscles need just as much TLC as the ones that you see in the mirror. Two, quick shameless plugs: First, all of these images are courtesy of Paul Roache, MD. 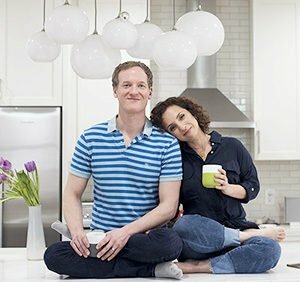 Paul is the co-creator of my online yoga anatomy course. To learn more about yoga anatomy, please check out our Essential Anatomy Online Course. 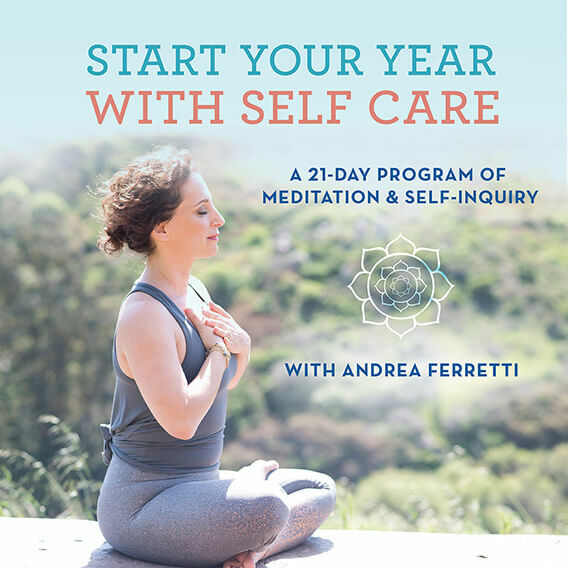 You can also learn more live—and, earn your 500-hour Yoga Teacher Training Certificate—by joining me in person. Your glutes: Daddy Bear, Mama Bear, and Baby Bear—or gluteus maximus, medius, and minimus which are named according to their size, not their region or function. This muscular family wraps from the back of your pelvis to the outside of your pelvis. Strengthening this family in yoga provides you with greater stability in your hip joints and sacroilliac joints. Strong glutes may also decrease the stress on the deeper piriformis muscle and the neighboring hamstrings. Your piriformis: Your piriformis runs from your sacrum to the head of your thigh-bone. It’s notorious for being tight. And, due to its proximity to the sciatic nerve, excessive tension in the piriformis can create sciatica-like symptoms. 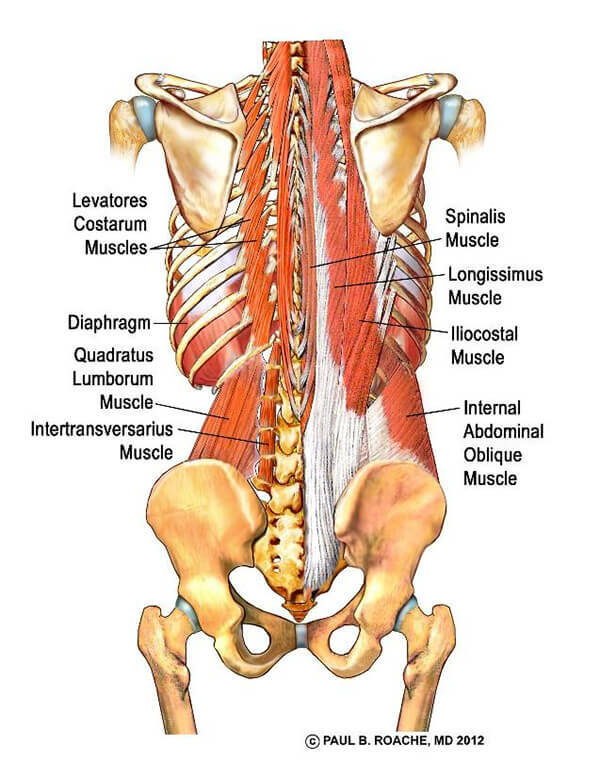 Since the piriformis complements, or balances, the psoas, it’s important for it to be strong when you practice yoga. If the psoas is strong, but the piriformis is weak, it can create a muscular imbalance that chronically fatigues the piriformis and makes it tighter. 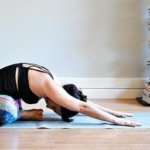 Your hamstrings: In yoga, we tend to spend far more stretching our hamstrings than strengthening them. Strengthening your hamstrings may decrease the likelihood of hamstring attachment injuries, create greater support for your backbends, and balance the strength of hip flexors and quadriceps. Your paraspinals: Your paraspinal muscles run alongside your spine helping to keep your spine upright and your torso mobile. 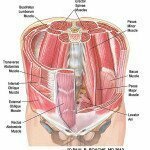 If you’re going to focus on strengthening your abdominals in yoga—which is not a bad idea at all—you also need to strengthen your paraspinal muscles so that these groups stay balanced. 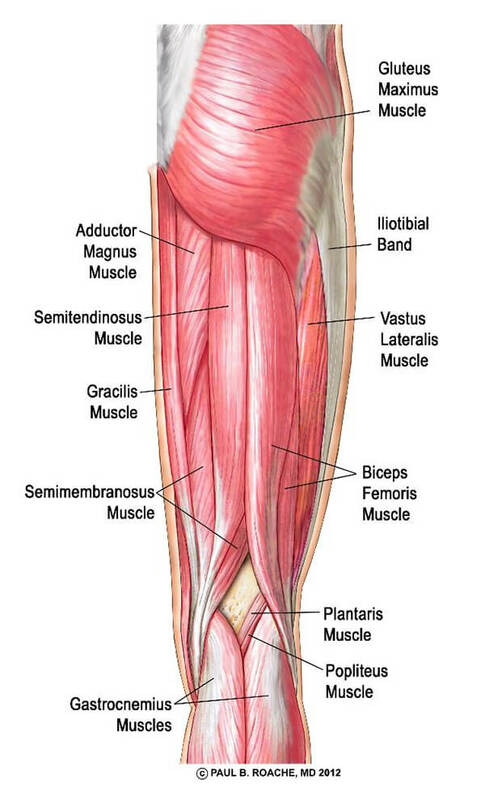 Your adductors: The adductor muscles, which run down the inside of the legs, are often referred to as the groins. Like the hamstrings, the adductors are stretched much more frequently than they’re strengthened in yoga. Engaging your adductors in yoga will help you engage your pelvic floor muscles and your abdominal muscles, especially your transversus abdominis. Heads-up: I’ll be publishing several Pose Notebooks and practice sequences that focus on the core soon—so make sure to follow me on Instagram and sign up for my newsletter so you know when these are available. This is an eyeful—especially with all the labels. That said, it provides you with a comprehensive visual of this complex region. The left side illustrates the most superficial layer of muscles in the region, the gluteus maximus, IT Band, and hamstrings. On the left side, these muscles are removed so that you can see the deeper layer of muscles. 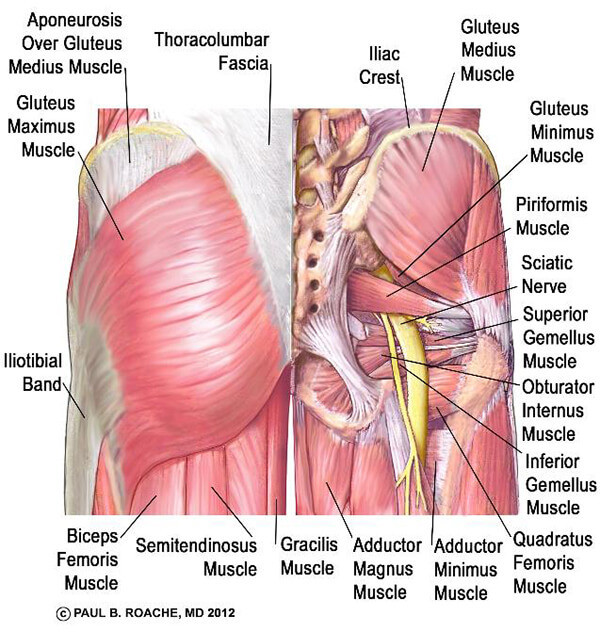 Notice how many muscles live under the gluteus maximus! On this side, you can see the piriformis running from the sacrum to the head of the femur. You can also see how the sciatic nerve runs underneath the piriformis. I admit this cross-sectional illustration of the thigh is slightly macabre. But, it captures the three-dimensional nature of the body and depicts how muscles are layered together in a way that a flat illustration can’t. The illustration includes all the muscles that wrap around the thigh-bone, not just the adductors. 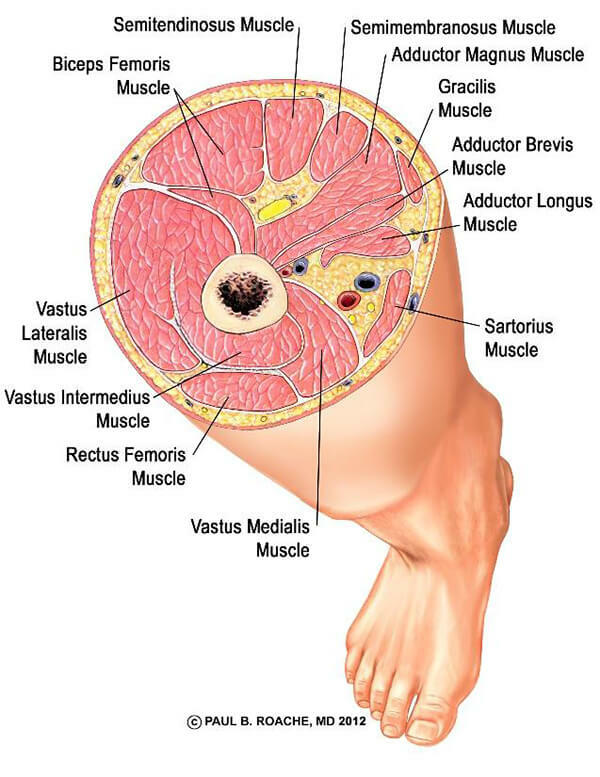 The adductors in the illustration are all the muscles that start with “adductor,” as well as the gracilis and sartorius. This illustration includes the paraspinal muscles as well as the diaphragm, quadratus lumborum, and obliques. Including these three additional muscles gives you a clear picture of the entire spinal region. The muscles depicted on the right side of the spine are the longer, more superficial muscle groups. The muscles depicted on the left side of the spine are the shorter, more profound (deep) groups. This is a nice, simple, clean rendering of the hamstrings. Remember to strengthen them in addition to stretching them! Fantastic blog post and amazing images to complement. Thank you! Thank you so much this information with such good pictures. And also for all your other articles.